Editor Bogi Takács and Lethe Press have assembled another critically lauded anthology of speculative fiction that centers transgender characters. It features stories from some of my favorite authors (and colleagues), as well as newer voices. As with the first volume of Transcendent, Lethe Press has worked with a wonderful editor to select the best work of genderqueer stories of the fantastical, stranger, horrific, and weird published the prior year. Featuring stories by Merc Rustad, Jeanne Thornton, Brit Mandelo, and others, this anthology offers time-honored tropes of the genre–from genetic manipulation to zombies, portal fantasy to haunts–but told from a perspective that breaks the rigidity of gender and sexuality. 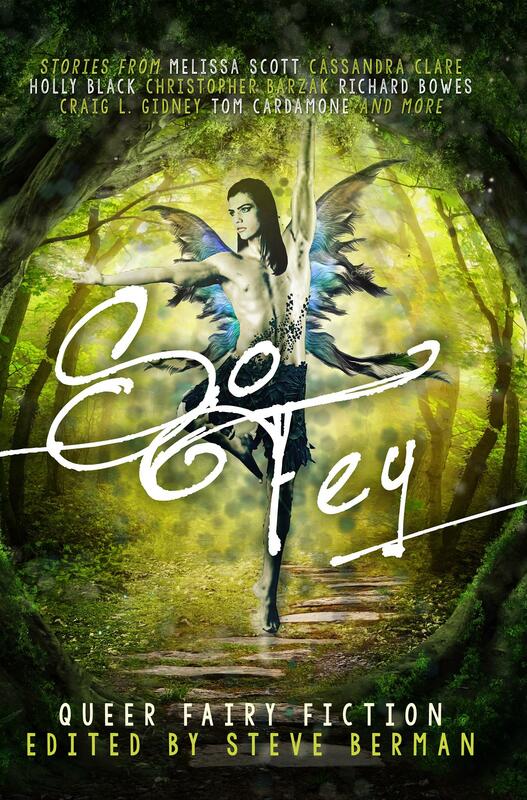 “So Fey: Queer Fairy Fiction” is being reissued with a gorgeous new cover! So Fey: Queer Fairy Fiction, featured my first major sale (“A Bird of Ice”). It was an honor to be place alongside work by Holly Black, Cassandra Clare, Rick Bowes and Tom Caradamone. Publisher and editor Steve Berman is reissuing the book with a hot new cover. 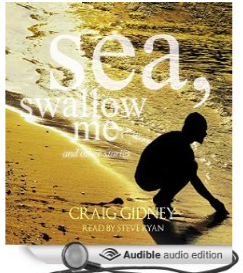 Lethe Press just released my first collection, Sea, Swallow Me & Other Stories, as an audiobook. It’s narrated by performer (actor/singer) Steve Ryan and has a snazzy new cover. 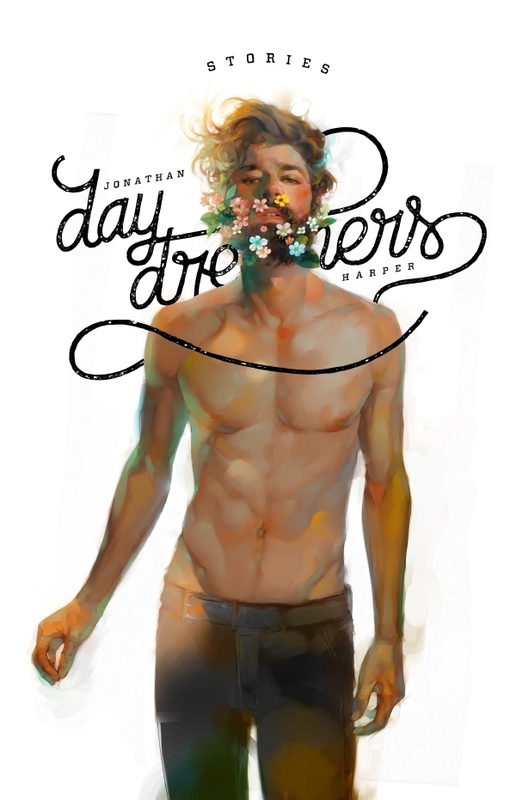 Happy Birthday to my friend, colleague Jonathan Harper’s debut collection, “Daydreamers.” It’s been getting some great buzz. Harper and I not only share publishers (Lethe Press), we also live relatively near each other (DC Authors represent!). I’ve heard him read from the collection and can assure you that his fiction is full of humor, and excellent characterization. Queer & Weird: The indie Lethe Press turns 14! Lethe Press, founded and run by Steve Berman, published my first book (Sea,Swallow Me & Other Stories). Yesterday was their 14-year anniversary. Taking advantage of Print on Demand Technology, the press has grown from publishing neglected and forgotten books to being one of the premiere gay presses. Lethe publishes gay and lesbian fiction, erotica, and various oddities (a book on the history of barber shops!) and in addition to new and exciting voices, have published work by bestsellers like Tanith Lee and Melissa Scott. The press is particularly notable for publishing Queer Speculative Fiction. Several Lethe Press books have been Lambda Literary Award finalists, and at least three Lethe titles have won the award. 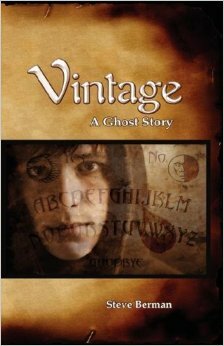 Berman is selling his debut novel, a YA ghost story titled Vintage, for 99 cents as an eBook as a way of celebrating the achievement of being in business for 14 years. (Check out the usual online venues). I would recommend checking out some Lethe titles. 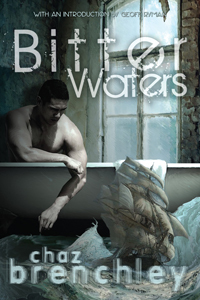 I’ve started reading Bitter Waters, a collection of gay-themed ‘weird fiction’ stories by Chaz Brenchley. The prose is top-notch, and water imagery abounds in these haunted tales, which remind one of the elegiac work of Robert Aickman. Lethe Press has reprinted one of the seminal works of Queer Fantastika (magical realist/weird fictional texts with LGBT content). Don’t miss an opportunity to read this. Kevin Grierson comes from an Irish-American family that’s cursed by violence, booze and shadows. The Shadows, in this case, are real quasi-people who embody all of the worst instincts and impulses that a person can have. They are like the Id, given substance. In Grierson’s case, his Shadow pushes him into drug and sexual addiction and the petty crime that goes along with that lifestyle. The novel, told in a series of vivid flashbacks, starts in the late 40’s, in Boston and ends in the 90’s in New York’s West Village. A strange coming of age story told in first person, Minions takes us on Kevin’s journey as he struggles to find out where he and his Shadow are separate entities. On one hand, the doppelganger drags him closer to hell and failure; on the other, the Shadow is streetwise and savvy and saves Kevin in more than one instance. Kevin and his Shadow exist in any uneasy balance with each other. They move from tragedies, failed relationships (with both men and women), and dangerous situations together, helping each other out in a sick, co-dependent-yet oddly comforting way. .The scenes of sexual degradation and drug dementia are chilling and horrific in their accuracy. It’s part of what makes this a horror novel-the all-too real world of chemical dependency. As disturbing as these scenes are, they are what keeps this novel edge-of-seat reading. Bowes’ voice (as Kevin) is so real that at times I thought I was reading an autobiography. This is because Bowes makes us care about Kevin, even when he does horrible things. We’re with him when he finds love and transcendence, as well as with him down in gutter, looking up towards the stars. The fantastic element is skillfully woven into the story. The mechanics of the Shadow are never properly explained-a vague telepathic awareness of each other when they’re split up is alluded to, never elucidated. The characters that enter Kevin’s life walk and breathe on the page, even if they appear for only a couple of scenes.The locales, particularly the seamy underside of New York, seem to be characters themselves. 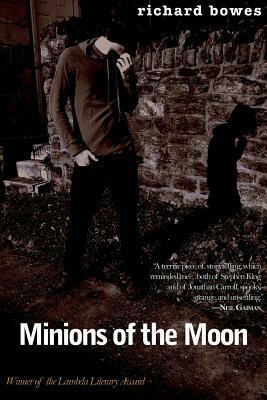 Minions on the Moon is one of those novels that completely transcends the genre for which it was marketed. It is a stunning examination of identity and the search for meaning when you’re under the influence of various addictions and self-destructive behaviors. 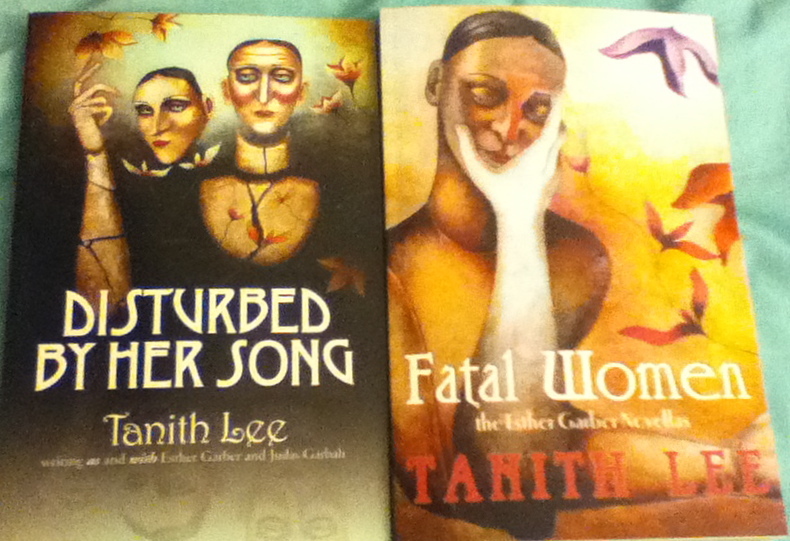 Fatal Women: The Esther Garber Novellas by Tanith Lee are finally out from Lethe Press. It was a pleasure to work with Ms. Lee and get these books back in print. The interiors, designed by Alex Jeffers, are exquisite. These books are surrealistic historical lesbian fiction–kind of like Sarah Waters on opium, with Jeanette Winterson and Colette popping in as influences.